For over 20 years, Stone World has had a presence in the business of natural and man-made materials ranging from quartz to marble to slate, which are available in tiles/slab format in a variety of thicknesses and sizes. 'Leaving no stone unturned', they acquire our material from all over the world: Italy, Spain, Portugal, India, Brazil and South Africa. When Stone World approached us, the brand already had a strong foundation on which to build, but the existing website was looking tired and was experiencing functionality issues. 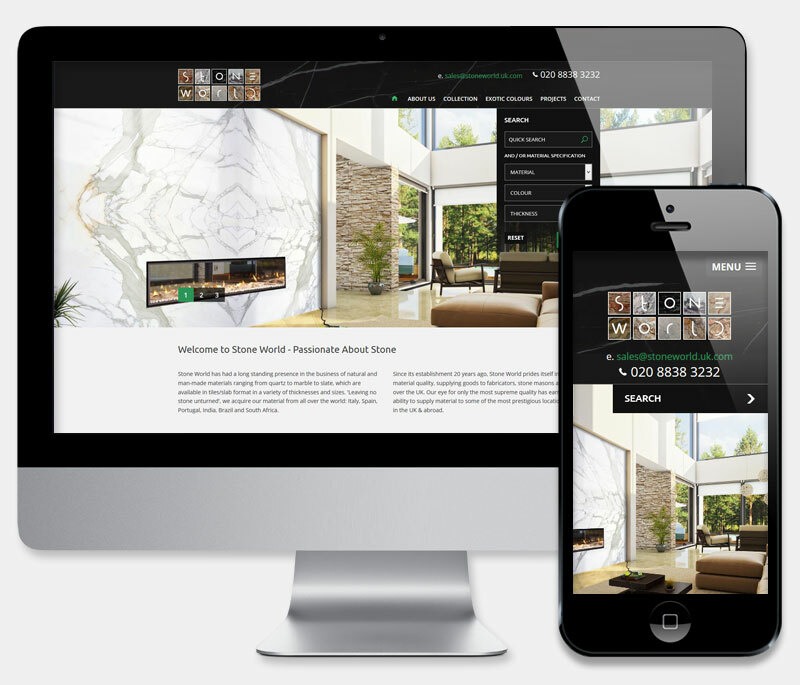 Stone World wished to replace the entire site it with something new, that would really 'wow' their visitors. We we were delighted to work with the client to provide a fantastic new Drupal site, to showcase their extensive stone and marble collection. Using our extensive design and development know-how, we finalised a winning design that would allow easy exploration of products and a pleasurable and intuitive user experience. The new website includes a sleek new look, integration and hourly local caching from the Stone Profits Management System, news board, link to the Stone World dedicated APP and fast, responsive mobile friendly layout. As always, we were delighted to offer our competitive hosting package, which includes ongoing security updates and technical support. Great work - thorough and understood our somewhat complex needs. Would highly recommend! Dee always went the extra mile.